To celebrate their tour kicking off I have some of Frankie's favourite skincare to give away worth £16 to a Perfectly Polished Reader! Frankie from The Saturdays is a huge fan of Barefoot products, especially Barefoot SOS Face & Body Wash to calm down her sensitive skin and keep her skin in tip top condition! 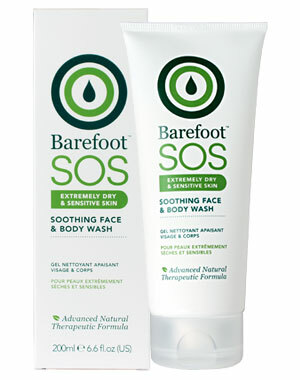 Barefoot's SOS range is perfect for skin in need of some TLC, whether it be due to make-up, skincare or environmental factors irritating your skin. Barefoot's natural range will soothe and calm even the most sensitive complexions you can check out their Facebook Page for more information. This giveaway is open to all Perfectly Polished Followers and shall close on 1st January 2012 at 11pm (UK Time). 2. Simply write 'SOS' in the comments below to enter! Completed all of the above and sharing on FB as no blog as of yet!